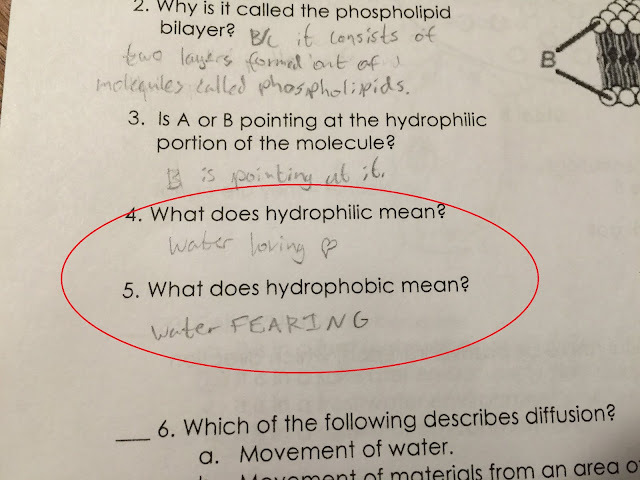 The fourteen-year-old daughter used expressive handwriting to get a good grade on a science test. It helped that she knew the correct answer. Still, the heart and all-caps made for more lively reading. I salute creativity and science! Unfortunately/fortunately the above example was the extent of her artistic endeavor on this test. I'm glad she scored well and actually knows this stuff. I wish assignments from Art class were sent home for parental signatures.